CSL is an ISO 9001:2008 certified company with over 16 years of experience in calibration gases, pure gases, speciality gases, gas handling equipments, gas chromatographs and gas analyzer. Founded in 1992 by Dr. O. P. Srivastava & B.A.R.C. Scientist to manufacture calibration gas standards which was non existant in india. 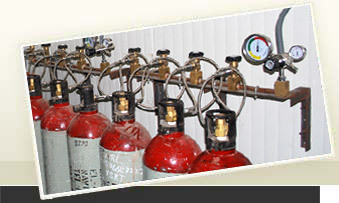 Today we stand as number one suppliers of gas standards in india from calibration gas standards as the base product we have diversified in to pure gases i.e speciality gases and then to gas handling systems and then to gas analayzers and gas chromatographs. Today we have close to 20 products covering end to end solution to the customers. We have been doing research on ethylene based ripening system. 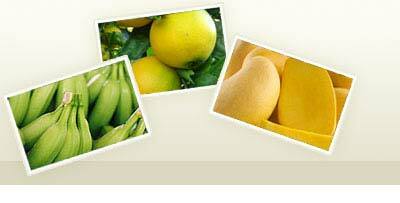 We have decades of experience in ethylene based ripening system. A customer from gujrat who was puping mangos for its export unit called us and asked us to develop ethylene based ripening system which he had seen overseas. Since then he is ripening 40 tons for past 5 years. After learning the effects of ripening solution we did major research in developing automated ripening systems using ethylene ripening gas cylinders. In 2005, we have fabricated three,400 ltr chambers in which we have done research on effects of ethylene,carbondioxide, oxygen and humidity effects on banana, mangos, papayas, lemon, oranges and close to twenty various fruits. 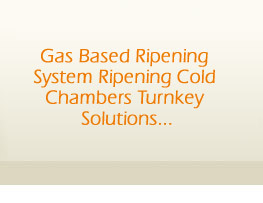 We are still optimising the gas concentration and its effect on ripening. Eg. The exact quantum of ethylene required for triggering ripening. By doing this we are trying to reduce the cost per ton borne by the customer. We have achieved lowest cost of upto Rs. 40 / ton which is close to 4 paise per kg ( eg for banana the cost is 0.5 paise per banana). The effect of carbondioxide has also been optimised and we monitor the levels and control through ventilation fans and scrubber of ripening systems to effect repetitive quantity on every batch. To date with our systems every batch coming out has same quality which has benifited our customers and hence has enhanced their market reputation.